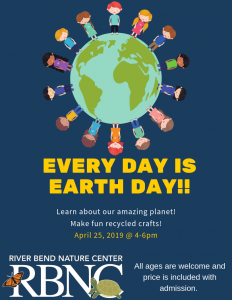 Come and join us April 25th at 4 pm to learn about our great planet and make crafts from recycled materials! All ages are welcome and the price is included with admission. Adults: $6, Children/Seniors/Military/Students(w/ID): $5, Children 1 and under are free, Members are free. 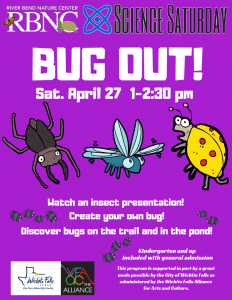 Join us on Saturday, April 27th, from 11 am-12 pm for our Nature Tots: Itsy Bitsy Spider! 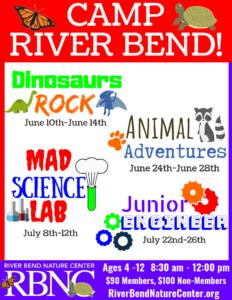 This is our last Nature Tots program for the year! 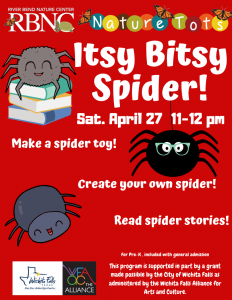 Make a spider toy, create your own spider, and read spider stories! 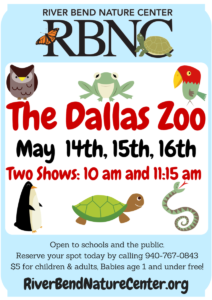 Pre-K ages are welcome, and the price is included with general admission and is free for RBNC members. Adults: $6, Children/Seniors/Military/Students: $5, and Children 1 and under are free. 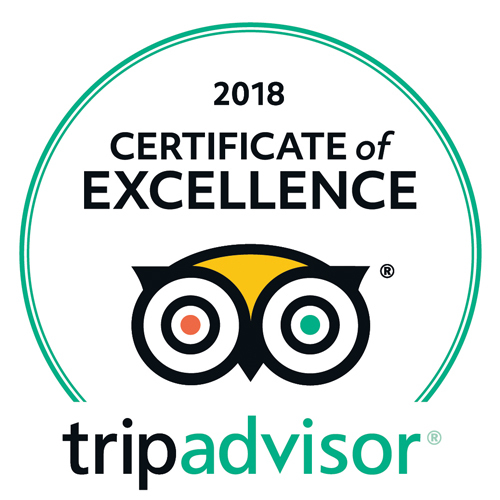 Free for RBNC members.